SoftPlanet makes it possible for everyone to get free YAC Virus Removal Tool download directly from our servers. There is no registration needed for downloading. YAC is an efficient little program, which performs fast work on outdated registry entries, cookies, and temporary files. YAC Virus Removal Tool also helps to protect your browser from malicious plug-ins. It allows you to speed up your PC as well. YAC Virus Removal Tool is an AIO PC protection service. Some of its features are malware removal, outdated registry/cookies cleaner, privacy protection and system cleaning capabilities. It is designed to both protect and speed up your system. It also protects your browser from all of the redundant plug-ins. YAC Virus Removal Tool has an easy-to-handle and simple interface. YAC Virus Removal Tool is a 100% free and light-weight software application, whose main purpose is to protect your system from malware and especially your browser from malicious plug-ins. YAC Virus Removal Tool is VIRUS-FREE! Our security scan shows that YAC Virus Removal Tool is clean from viruses. The current version of YAC Virus Removal Tool has been scanned by our system, which contains 46 different anti-virus algorithms. 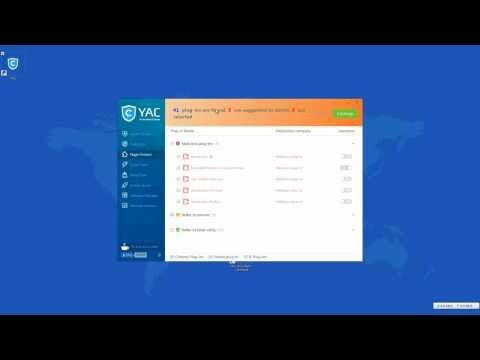 That ensures that YAC Virus Removal Tool 2.9.29 is 100% safe for your computer.